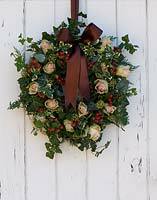 Christmas wreath hanging on white painted wooden door. 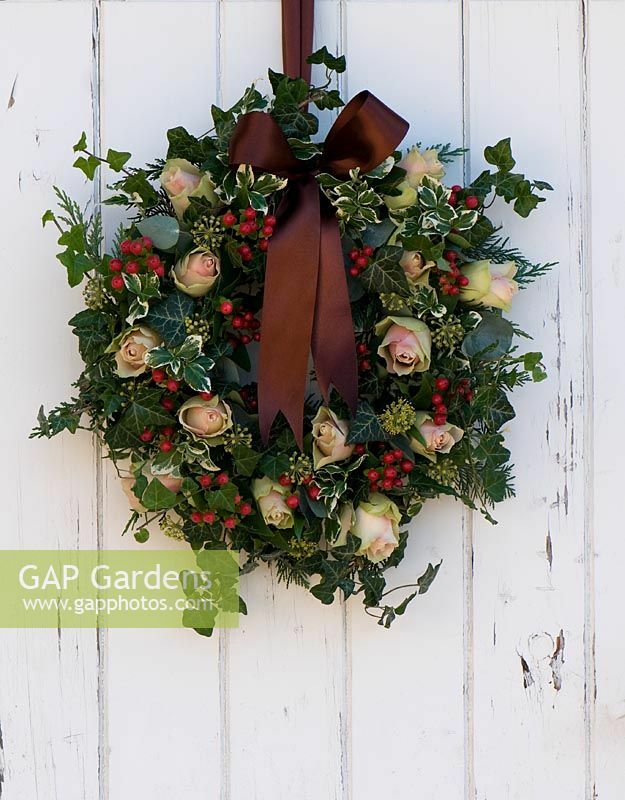 Including Rosa 'La Belle', Hypericum 'Coco Rio', Ivy and variegated Euonymus. Image 0358843 has been added to your cart.